Suppose I have a computer that doesn't have a lot of storage space, or suppose I don't want to wait a while for the blockchain to be synced with my computer. What can I do to use Monero faster without downloading the entire blockchain to my computer? This allows you to use Monero from a web browser without downloading anything, and you can use Monero wherever you have access to the webpage. I suggest MyMonero since it is run by a Monero core team member. Web wallets are the least secure of all wallets. Use a remote node (SPV wallet). You have the option of downloading Monero and simply using someone else's node instead of your own. This could be a friend's or a complete stranger's. Using a remote node is less safe than using your own, but it should still be safe for most uses and it is very easy. By default, the --trusted-daemon option is off, which means that Monero will automatically obfuscate data sent to this node. Read more about risks using a remote node here. There are many users who have chosen to open their nodes for other people to use. The most commonly suggested nodes to use are the MoneroWorld nodes. What nodes can I use? If in the settings page of the GUI wallet, omit the :18089 part. The GUI does this automatically under this page in the box to the right (see the examples above to see whether you should use it or not). For some of the MoneroWorld nodes, use port 18081 instead. The page should clearly state which port to use. Use a phone wallet (SPV wallet). You can use the Monero Monerujo wallet for Android (Google Play link). 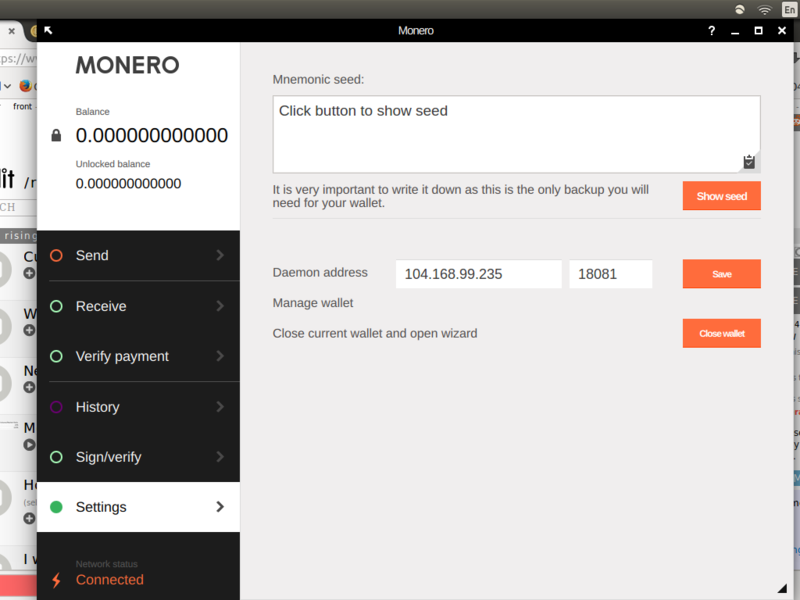 This wallet automatically connects to node.moneroworld.com:18089, though you can specify another remote node if you wish. You can use Cake Wallet or X Wallet for Apple iOS. These will automatically connect to open remote nodes. You can use a lightweight wallet that shares your view key with a provider for greater convenience at the cost of some privacy. MyMonero desktop apps, which automatically connects to the MyMonero backend. You can optionally point to a different service. MyMonero Apple iOS app, which automatically connects to the MyMonero backend. You can optionally point to a different service. Edge Wallet for Apple iOS and android, which connects to the MyMonero backend. Not the answer you're looking for? Browse other questions tagged monero-wallet-cli monero-wallet-gui full-node remote-access user-guide or ask your own question. What's a quick way to view my Monero Balance without downloading the blockchain? 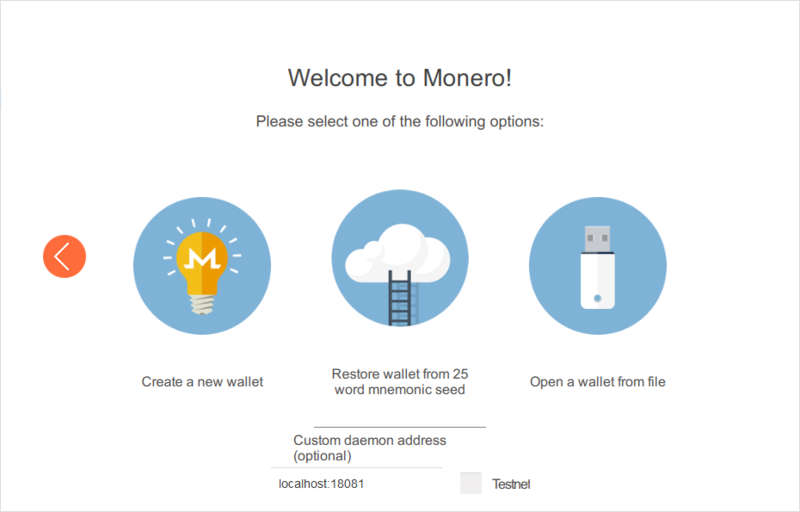 Are there any lightweight Monero wallets? How do I use a computer with a wallet to access a headless node at my home? If I compile monerod from source, do I also have to compile the GUI to use the GUI? How do I move the Monero blockchain files safely? How can I delete my wallet? Which directory does monero-blockchain-import, by default, use to store the imported blockchain?